Samsung has already launched the Galaxy C9 Pro and according to the latest reports, this coming month will witness the launch of Samsung Galaxy C5 Pro and Galaxy C7 Pro, but there is still no specific date yet. 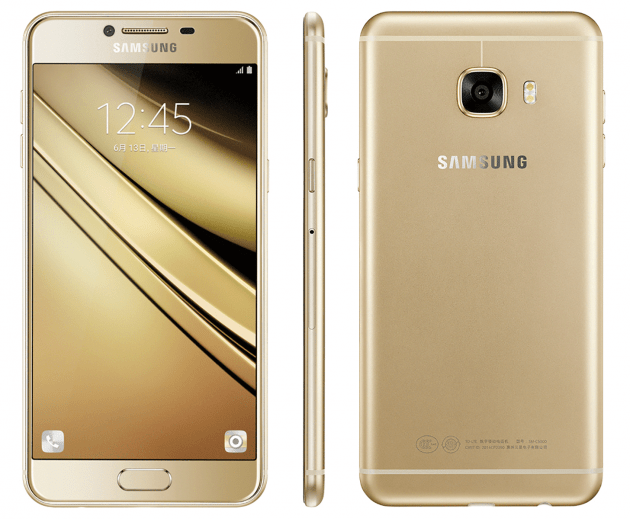 Samsung introduced the Galaxy C series this year, with the phone initially thought to be a China exclusive. Just recently, the Galaxy C7 pre-orders went live in the U.S. via an unlikely source, but there is still no word on the availability of the Galaxy C5. Like the latter, the Galaxy C9 Pro is also not confirmed whether the U.S. will be part of its destination. The phone made highlights after becoming the first from Samsung to carry a 6GB RAM. In order to keep the market lively, Samsung is reportedly preparing to add a Galaxy C5 Pro alongside a Galaxy C7 Pro to the list. Just recently, we reported details of a Samsung Galaxy C7 Pro and apparently, much newer reports have added the Galaxy C5 Pro to this list. According to a Weibo post, Samsung Galaxy C5 Pro and C7 Pro will be released before the end of this year. There is no specific date mentioned, but given that we only have slightly over a month before the year ends, December makes it as perfect timing. The leak says that Samsung Galaxy C5 Pro will come with model number SM-C5010 while the Galaxy C7 Pro will carry model number SM-C7010. Both phones will be powered by a Qualcomm Snapdragon processor. With earlier rumors pointing towards a possible 5.7-inch display size for the Galaxy C7 Pro, it is possible that the C5 Pro will ship with a slightly smaller screen of 5.2 inches, just like their predecessors. There is no other information that has been released about these two, especially about the pricing. The Galaxy C5 has a price tag of about $330 while the C7 is valued at about $396. The new models could be priced at around the same tags or slightly higher. All these should be confirmed in a few days’ time unless it is just another rumor. Previous Previous post: What Can the New Tornado Card Introduced in Clash Royale Do for You?